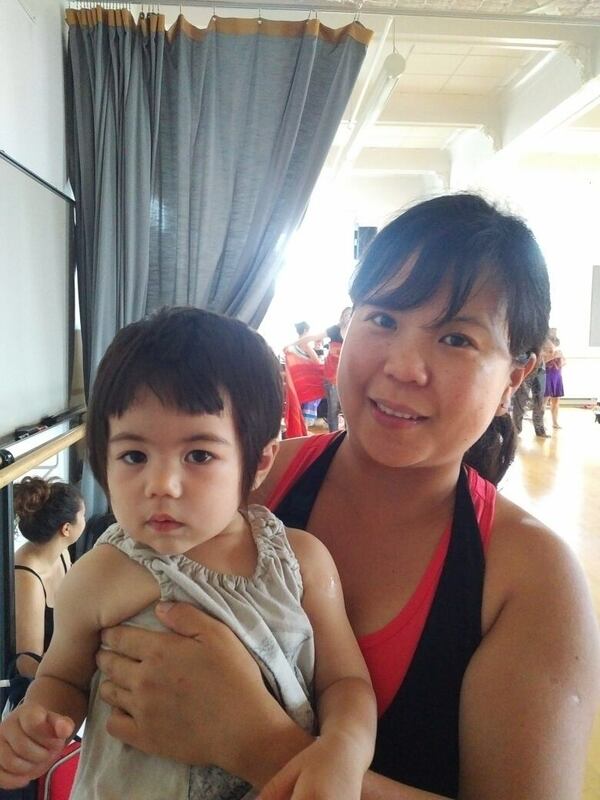 Mama Danses program seeks to build connections between parents and their children through dance. The idea was born out of a serendipitous series of events. Eryn Dace Trudell says she was at a dance show when the child of the dancer, who hadn't been able to find a babysitter that night, threw a tantrum in the audience. The dancer was forced to bring her young son on stage with her and try to continue on with her performance. "That was the most beautiful dance that I ever saw in my life," said Dace Trudell, as she recalled the connection between the mother and her child. 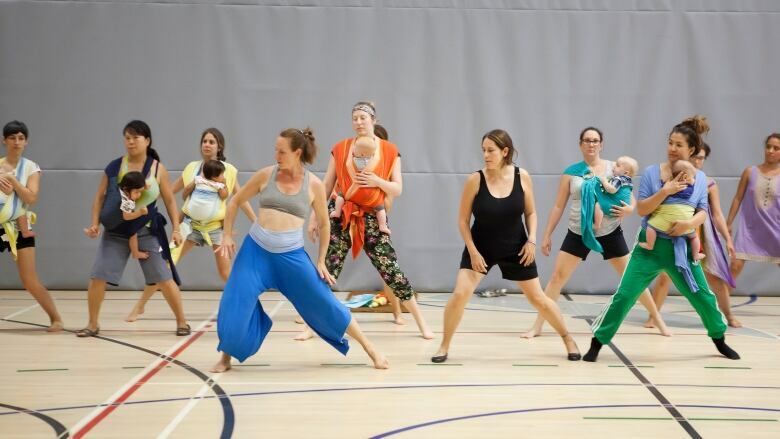 So when Dace Trudell, a Montreal-based dancer and choreographer, had a child of her own, she wanted to find a way to bring motherhood and dance together here, too. And with that, Mama Dances was born. Founded in 2006, the organization offers dance classes for mothers and their children under age two, as well as classes for parents and toddlers. The idea is to use dance to strengthen ties between parents and their children, Dace Trudell said. "We're developing and creating connections, bonding, with our babies and children through movements," she told CBC Montreal's Homerun earlier this week. 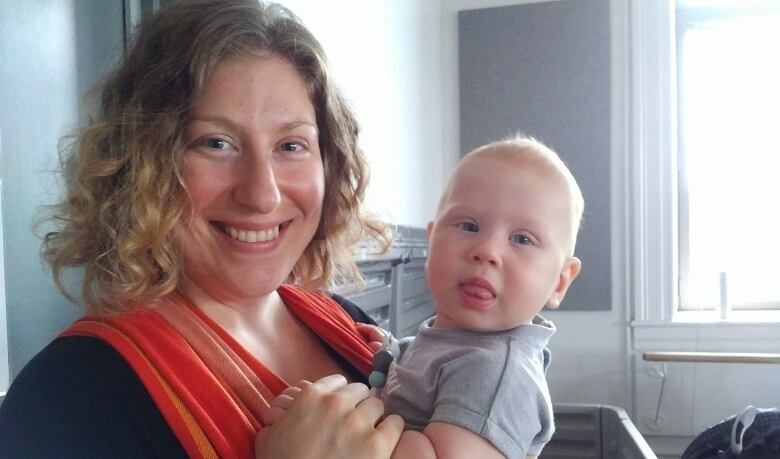 "It's really focused on developing a connection and honouring all of the multitasking that a mother is involved with." Earlier this morning, about 20 mother-baby duos danced on Mount Royal. The show, called MOMENTum, is part of Montreal's Festival Quartiers Danses, which formally kicks off next month. The performance put the mothers "at [the] centre of the contemporary dance stage," the event invitation reads. The mothers dance with their babies in their arms, or in baby carriers. They practiced for the show since early July, Dace Trudell said. Wai-yin Kwok is one of the Mama Dances participants. She says she joined the group as a way to connect with her daughter, Manu, on a different level. "I've always danced since my adolescence, and I really want to share my passion for dance with my daughter," she said. Another participant, Katherine Imbeau-Savard, said dancing with the group has made her feel more connected to her son, Raphaël Paul Savard. It's also built a sense of community between the mothers. "We're all connected to our babies. It's a very beautiful moment," she said. "Like motherhood, it's fine if it's not perfect. It's fine if you have to stop, if you have to take care of the baby."